The University of Helsinki was founded in 1640 and is an international scientific community with more than 40.000 students and employees. It operates on four campuses in Helsinki and at 17 other locations. The Univeristy has 14 faculties and many special institutes. High-level research generates new information and the knowledge is used to educate the versatile specialists. It is also used in societal decision making and in the economic life. In the future, the University of Helsinki wants to strengthen its position among the world’s leading multidisciplinary research universities and actively take action for the well-being of and justice in the society. In a long-term partnership from 2009 to 2017, More On Oy has created a comprehensive productization concept for the University of Helsinki. It includes the planning and productizing of a PR- and giftproduct line in cooperation with companies, planning and realisation of online store solutions, taking care of storage and logistics and advertising the products. 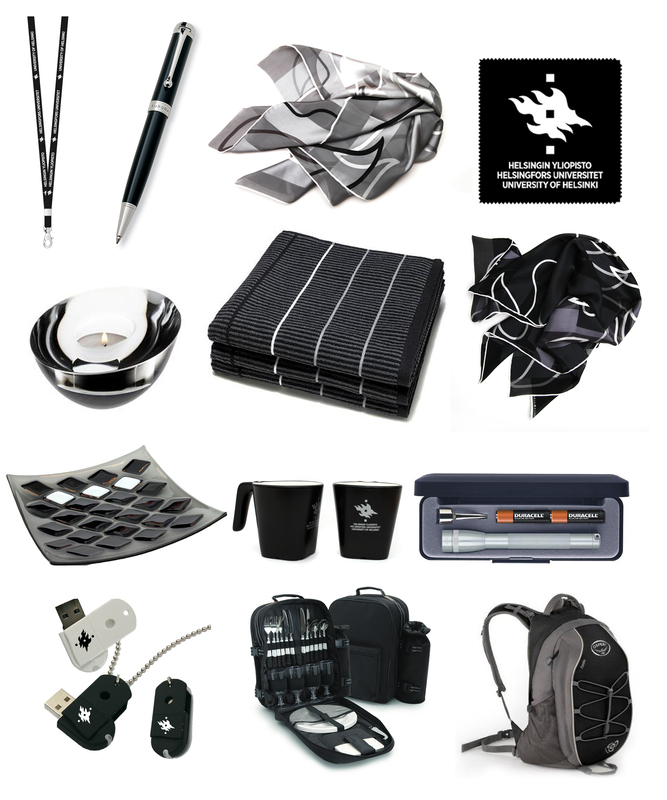 The products include PR and gift products, hoodies, T-shirts and value gifts. Don’t hesitate to contact us and we will tell you more!